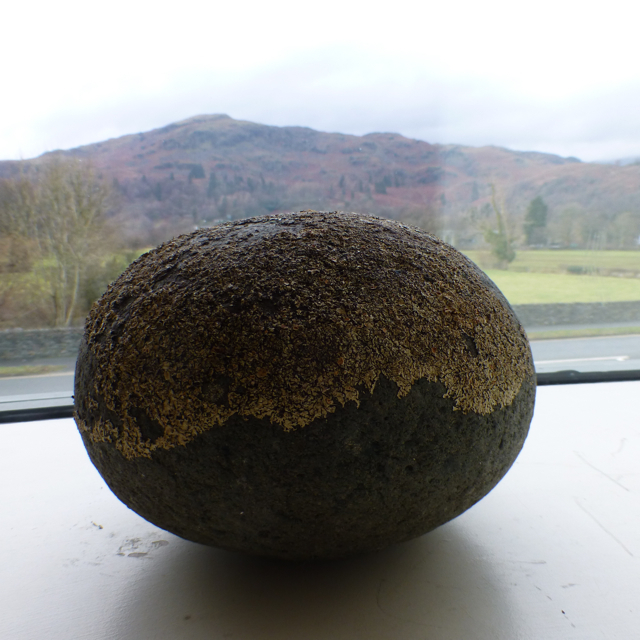 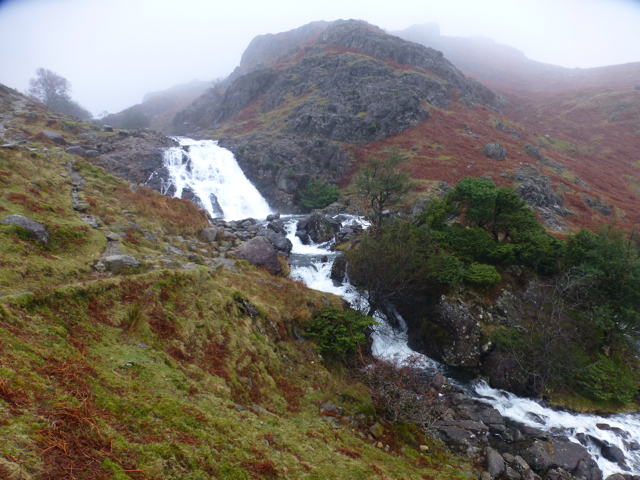 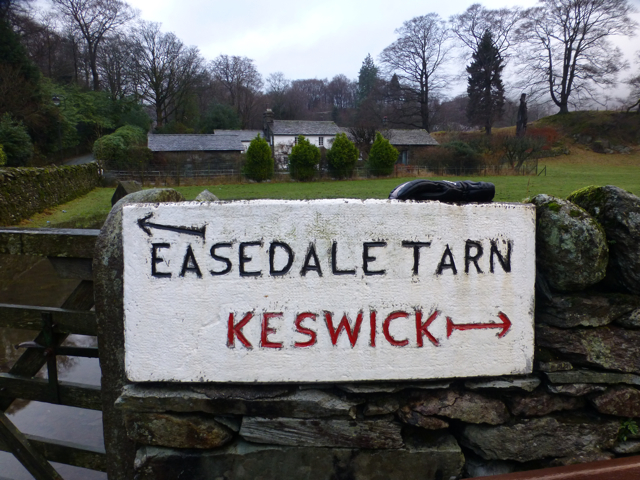 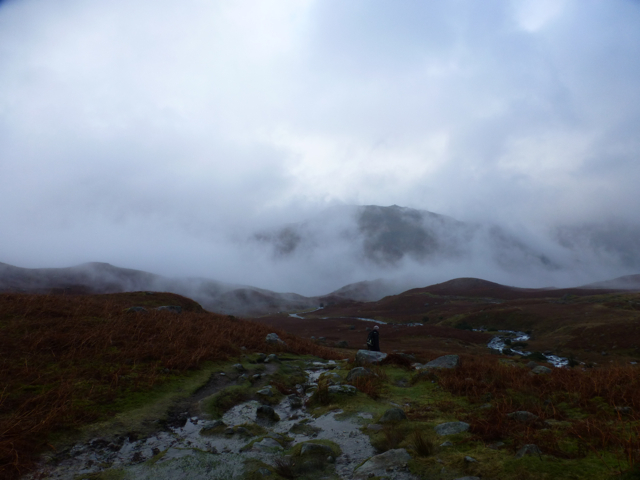 A group of us managed a walk in Easedale, up Sour Milk Gill (a fast-flowing stream) to Easedale Tarn (a placid lake). 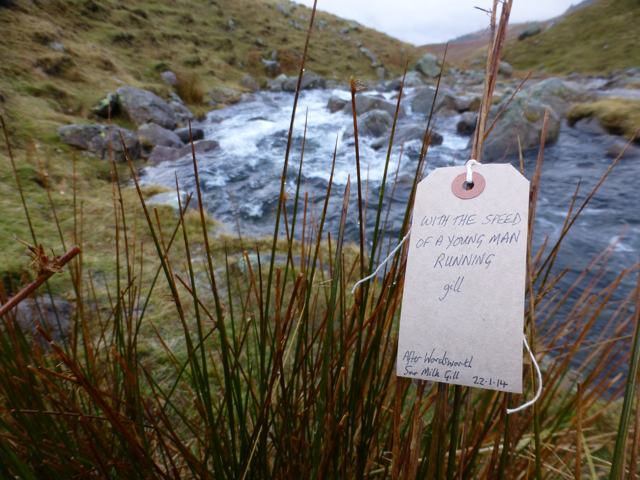 At the foot I read ‘Emma’s Dell’, one of the ‘Poems on the Naming of Places’ – right place, wrong season, as the poem is set on “an April morning, fresh and clear”, whereas we had damp January. 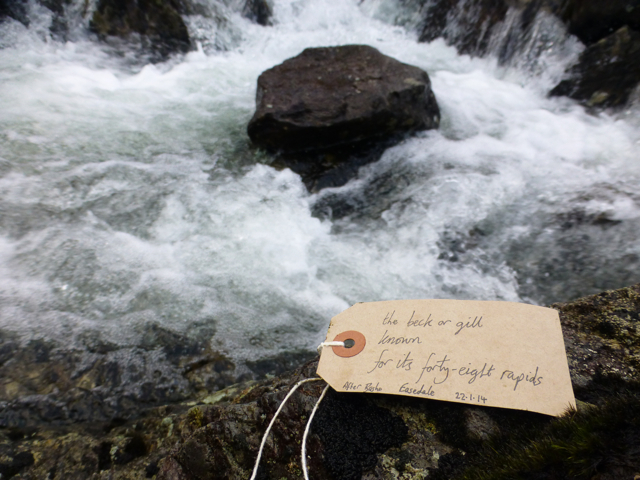 The white waters reminded me the Inverianvie, of one of our stations on The Road North, so I adapted a line from Basho to fit the new location.